Please don’t forget to book your child’s lunches for the first half of the summer term. You can find the menu and information on how to book on our website here. The deadline for booking lunches for the first week back after the Easter break, week commencing 22nd April, has now passed so please send your child into school with a packed lunch if you have not booked a meal. The deadline for the second week back, week commencing 29th April, is midnight on Sunday 21st April. Important notice for children in Reception, Year 1 and Year 2: children in these year groups are entitled to a free school lunch under the Universal Infant Free School Meal Scheme. Although you do not need to pay for the lunches, you MUST order them via ParentPay and make a selection from the menu. After school and lunchtime clubs are now available to book for the summer term. They will start week beginning Monday 29th April and will run for 10 sessions. Clubs are available to children in Year 1 – 6 and are allocated on a first come first served basis. The deadline for booking varies from club to club so please check on our website here for further information and application forms. The last day for booking Fern Hill run clubs is Tuesday 23rd April. You can find the details of all the clubs on our website under 'Extra Curricular Clubs & Activities'. If you are paying for your child’s Tree Tops sessions with childcare vouchers, please be aware that the Finance office is closed for the Easter break and the team will not be able to credit you with amounts transferred over until week beginning 22nd April. You may still make bookings of course! Bookings for Tree Tops sessions on Tuesday 23rd April must be made via ParentPay by Saturday 20th April. Thank you very much to all the parents and carers who attended our Curriculum Evening on Tuesday this week. This was an opportunity for parents and carers across all year groups to gain a greater insight into aspects of teaching and learning at Fern Hill, including maths, behaviour, home leaning platforms and the wider curriculum. The presentations used for each workshop are now available on the school website here and include a useful top tips document for making maths fun at home. If you attended and would like to let us know what you thought of the event or have any suggestions for future Curriculum Evenings, you can access the feedback form here. The Curriculum Learning Maps for the first half of next term are now all available on the website under your Year Group page. Linked to a theme, they cover what your child is learning across all subjects and any activities they will participate in, including trips and workshops. Calling all budding forest school creators! Friends of Latchmere Recreation Ground (FoLaR) are inviting all North Kingston children aged 5 - 11 years to enter their 'Design a Nature Zone' competition. They are looking for ideas on how to create a natural play and learning area within the wooded area on the north edge of the recreation ground. Entries must be no larger than A4 size and can be submitted in any form - drawings, collages, 3D models, even a story or a poem. The deadline for entries is 10.00 am on Tuesday 30th April 2019. Please see the poster on our Community page for further details. Today’s Easter Bonnet Parade was the best yet with some wonderfully inventive and beautifully crafted Spring themed hats which the children and staff have been making over the past couple of days. The whole school came together in the junior playground before lunch and shared their creations with a parade, year group by year group. It was a fantastic end to a very productive term! We hope all our families have a restful break and look forward to welcoming the children back on Tuesday 23rd April, recharged and ready for another very busy term. For the last few weeks, Fern Hill pupils have been engaged in deep discussion over a range of newsworthy topics. As part of our Personal, Health and Social Education (PHSE) and Citizenship programme, questions posed by the ‘Votes for Schools’ company have inspired and challenged our children to ‘think beyond the obvious’. The exciting presentations and opportunity to make an active vote ‘for’ or ‘against’ a decision, has encouraged the children to justify their opinions and bravely make a stand towards what they believe is right. Should you always give someone a second chance? Should junk food advertisements be banned? Each week, the ‘Votes for Schools’ company produce powerpoint presentations suitable for all key stages. Where possible, every class within our school will access the presentations, teachers will raise the questions to the pupils and everyone will discuss the arguments for or against the issue. At the end of the presentation, each child is asked to vote ‘yes’ or ‘no’. 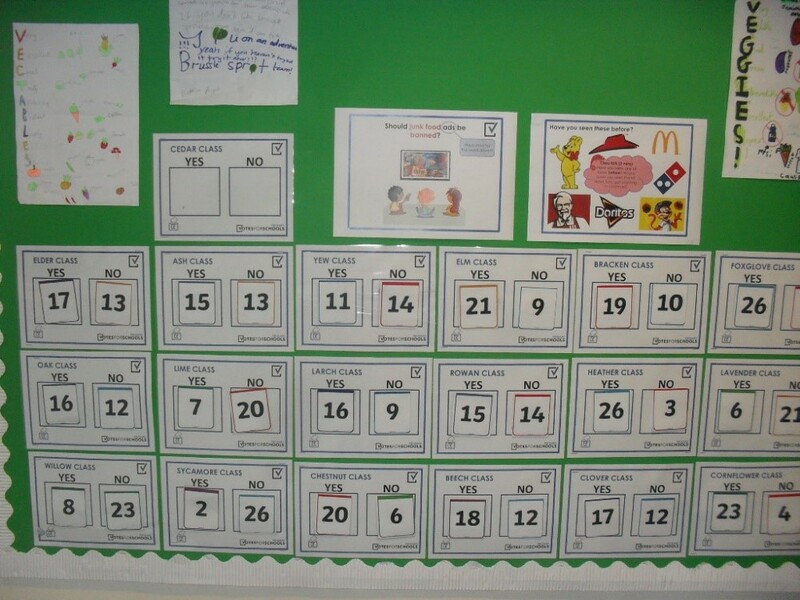 Votes are collected in and the results are displayed for individual classes in our school corridor. Our Rights Respecting Schools Ambassadors are responsible for updating the voting board so that a total school vote can be counted and entered into the national voting system operated by Votes for Schools. The children are thrilled to be part of this exciting project, particularly for the whole school approach that it offers. 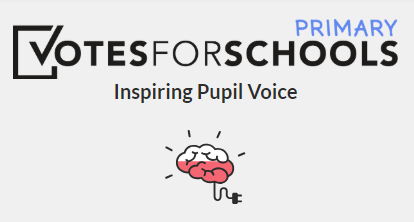 You can find out more about Votes for Schools here. We subscribe to a number of different digital platforms at Fern Hill which are used by the children and teaching staff in class as a resource to support learning. Some of these can also be accessed by you and your child at home. Further to the ParentPay message we sent you on Wednesday 3rd April, unfortunately some children have still been experiencing problems logging in to Mathletics. This has now been resolved so please try again! All usernames and passwords remain the same. London Grid for Learning is a community of schools and local authorities committed to using technology to enhance teaching & learning. The LGFL website hosts a huge number of educational resources which you can access by subject or key stage. ‘Busy Things’ is a favourite with both children and teachers and features hundreds of award winning curriculum linked games, activities and downloads. You can access LGFL via this link. You'll find your child’s LGFL log in at the front of their home school notebook. Discovery Education Espresso is an award-winning, cross curricular digital learning service which brings learning to life with a variety of engaging and accessible resources including short videos, interactive games, images, factfiles and printable resources, all designed to strengthen a pupil’s understanding of a curriculum topic. We have a whole school log in for this service. You can access the service via this link and the whole school log in is: username - student37712 and password - fernhill. 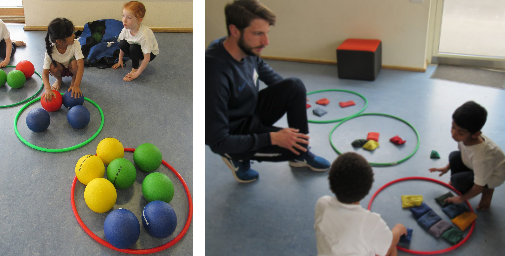 Last week, Year 1 children took part in ‘Maths on the Move’ as part of their PE lessons. Maths on the Move is a programme that uses the concept of active learning to enhance children’s confidence and attainment in maths. The children were focusing on the learning objective 'Missing Numbers Problems' and worked in small groups using cones, balls and hoops​ to help find the missing numbers to calculations and answer true or false questions. All three classes thoroughly enjoyed it and collaborated brilliantly! As part of our annual Active Week which runs from Monday 20th to Friday 24th May, Sports Day will be held on Friday 24th May at Dinton Fields. Children in Reception, Year 1 and Year 2 will compete in the morning and children in Years 3 to 6 in the afternoon. Nursery children will be having their own Sports Day on the Monday 20th and the whole school will take part in a sponsored run on Wednesday 22nd. Look out for further information on all these events at the start of next term. At the end of term, the number of team points each House receives is allocated based on their position (1st, 2nd, 3rd or 4th) each week of the term. The overall winner this term is KINGSTON! The PSA would like to say a huge thank you to all those parents, children and staff who’ve supported our fundraising and events this term. We’re delighted to say that, together with your support, we’ve raised over £4,300 during the Spring term. 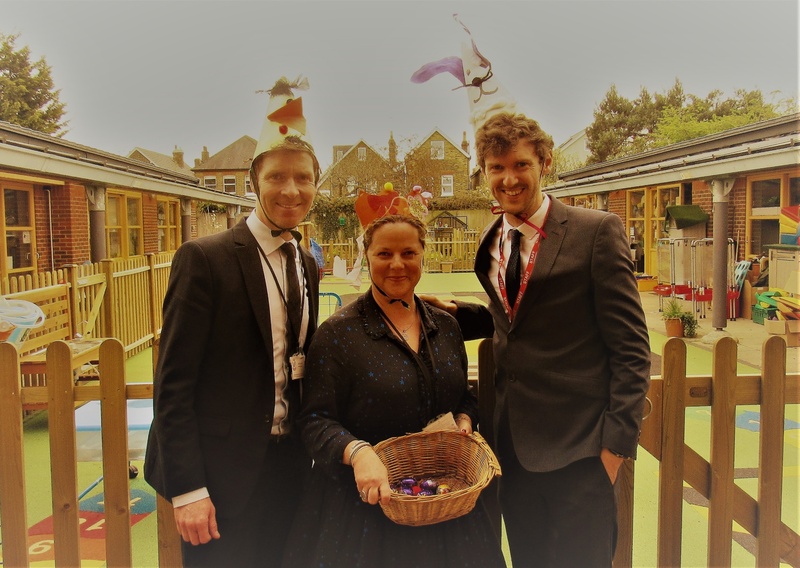 A large proportion of the money raised was spent on the newly developed Secret Garden area, complete with brand new Astroturf and picnic benches, allowing the children much more space to relax and enjoy being outdoors. The PSA’s main event in the Summer Term will be our wonderful Summer Fair on Saturday 15th June. Please put the date in your diaries and we look forward to seeing you on the day! Our school fairs are our biggest fundraising events and we can’t run them without the help of a large number of parents, so over the Easter break please consider when you may be able to lend a hand. We understand family lives are incredibly busy so all offers are really appreciated. Some ideas are: volunteering to be part of the planning team (meeting on Wednesday 24th April); donating prizes to the raffle or volunteering to sell extra tickets at the school gate; helping to set up for the fair on Friday June 14th from early afternoon until around 4.30 or on the morning of the 15th; receiving and sorting donations for the tombola; offering to oversee part of the event; donating baking or dishes to the café and International Food Stall, and of course coming along to enjoy the fair itself! Class reps will be sending out plenty of information nearer the time about how you can get involved. After the Summer Fair, we have our Summer Social evening party for parents on Friday 5th July, plus our very popular Dads’ Breakfast for dads, grandads and children before school on Friday 12th July. A significant number of the current PSA committee including our chair will be stepping down from their current roles at the end of this academic year. This means we desperately need more parents to come forward and get involved with the PSA or it will become impossible to run all our future events. If you would like to get involved, or find out more about what the roles can involve, please email fernhillpsa@gmail.com or come along to our next PSA meeting. Please don’t wait and assume lots of other people will step forward – if you’re able to help then do speak up! We really value all your support and hope that we can rely on more parents to ensure our events are able to take place. Finally, please have a look at our Spring Term newsletter – attached to this newsletter – for more information on everything we’ve been involved in this term – and our plans for next term! Well done to Year 5 who have had the best year group attendance for this week. The Attendance Cup is awarded to Oak class for the best attendance with 99.33%. Year 5 96.7% Well done!